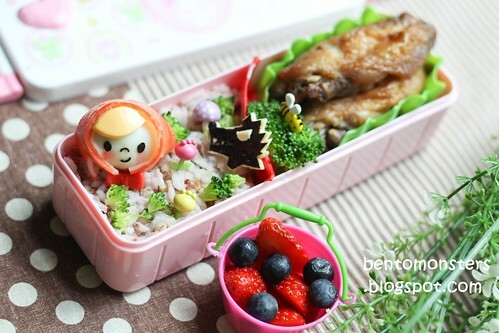 Another bento from their story books, this one is a classic. 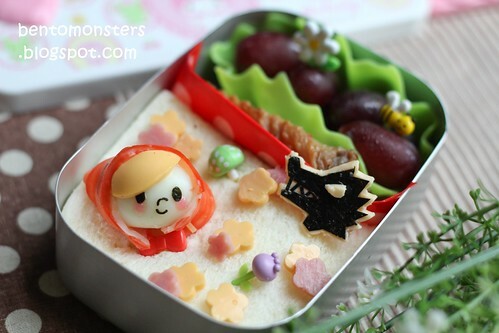 :) Little red riding hood is made out of quail eggs and crabstick. 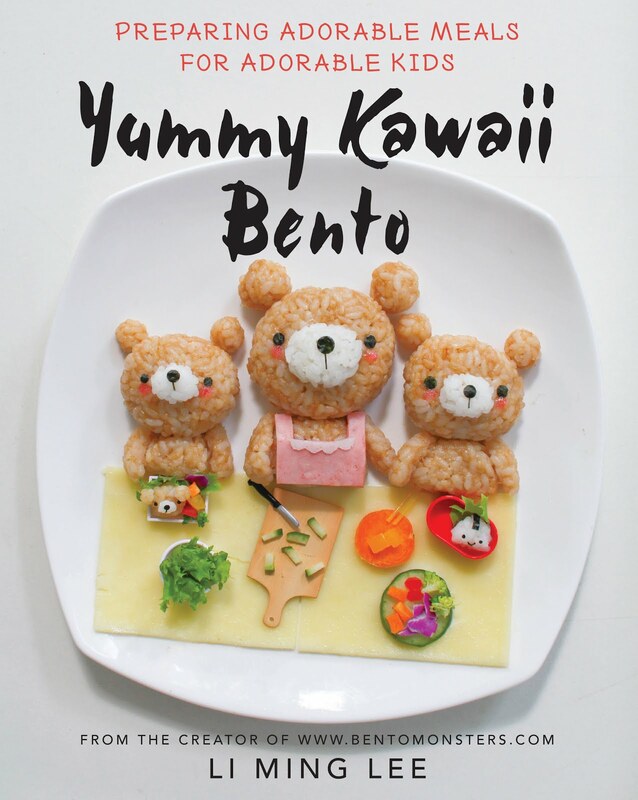 And the big bad wolf is made from nori and cheese. I've also used some of my new picks. 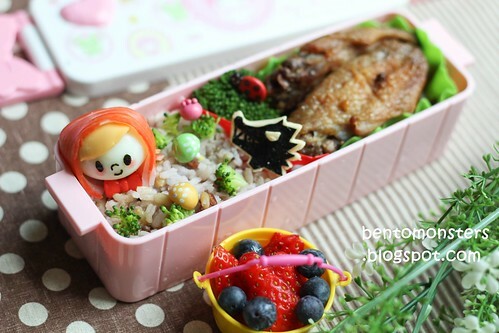 IT's bento for recess, in the box are butter/sugar bread, quail egg, grilled wing and grapes. I skipped LT's box for School today since he hates eggs, especially quail eggs! Cat, sorry to disappoint, but it's a My Melody box instead. 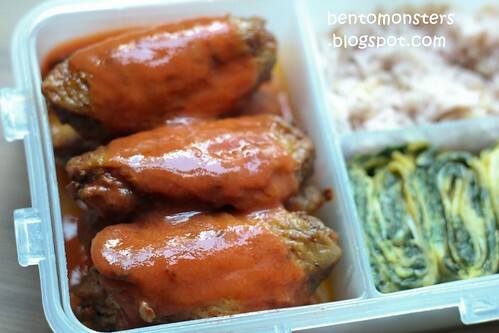 Quality is very good, but portion will be a bit too big for one kid if you pack compactly. But if using one tier for each like my case, it's a little too small. 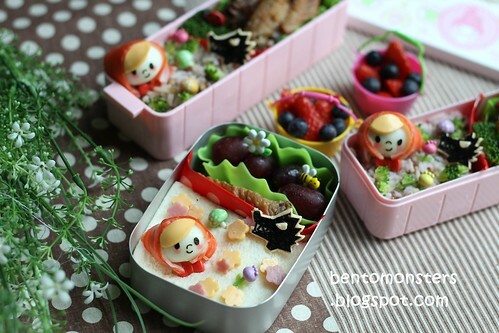 You make the cutest bentos! I LOVE seeing your happy posts in my reader every day!